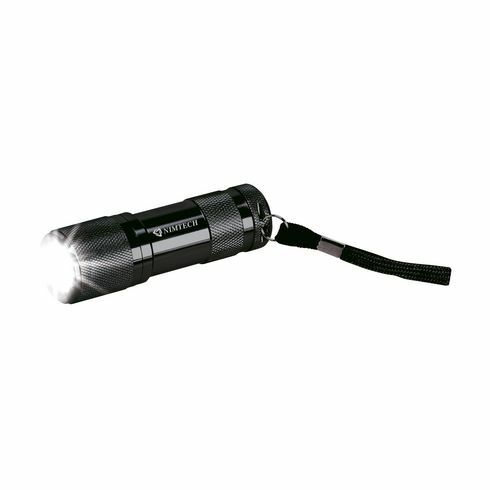 Hard-wearing pocket torch made of quality aircraft aluminium. With 9 energy efficient LED lights to provide a powerful beam of light. Meas. Ø 2 x 9.5 cm. Includes wrist strap and nylon carry case. Batteries included. Each piece in a box.